1. Kasuchi hat 2. Pompom leather sandals 3. Rosita necklace 4. Aslie sandal 5. Malaga French market basket. 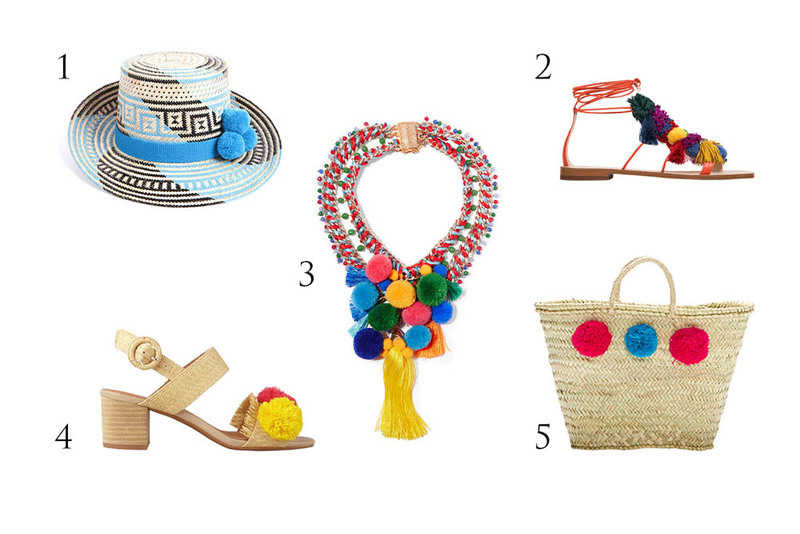 There’s something irresistibly sunny and south of the border about a pom pom embellishment; channel Mexico every day with these cheeky wardrobe pieces.